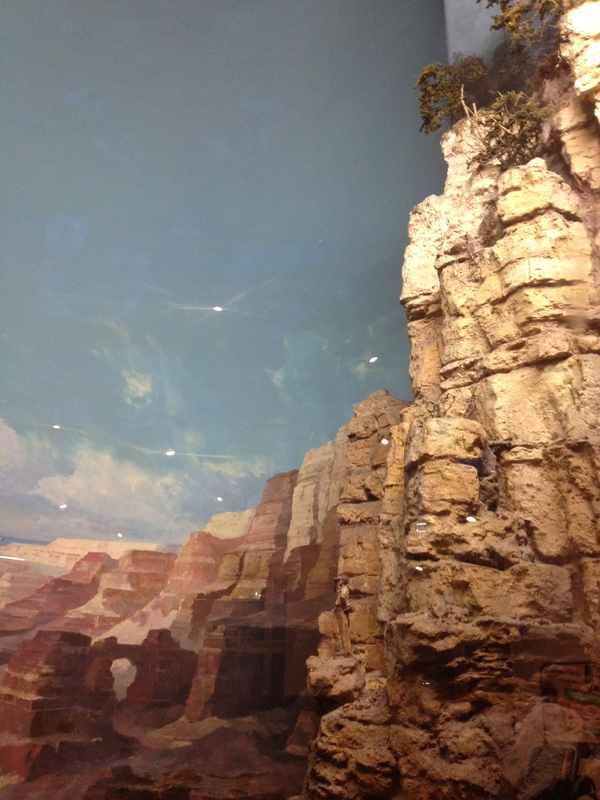 Panoramas; Dioramas and Tableau. Munich to Moscow, Dublin to the USA. Had to show you this. 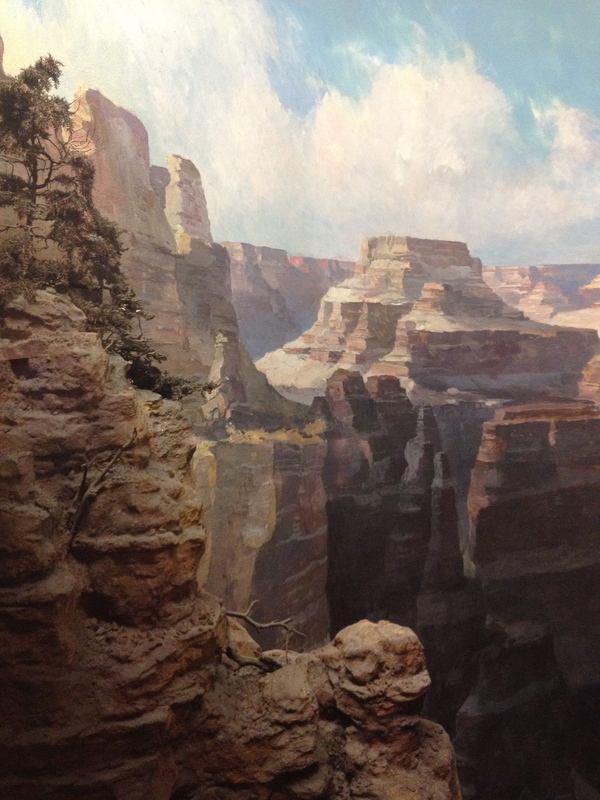 It’s what is known as a diorama of course, showing the vast sweep of the Grand Canyon. I spotted it recently in the Deutsches Museum in Munich, Germany, (where they really go in for large, highly detailed model-making in a big way. and, most dramatically, this intrepid little explorer-geologist type standing rather bravely on the tiny ledge to the right, over the vast chasm plunging down below. How on earth did he get down there? I can see no sign of ropes or climbing equipment. More importantly, how is planning to get back up that cliff? Let us hope he does not slip. I’ve always loved dioramas but hadn’t seen such a good one for years. The great museums of the United States seem to be especially rich in this regard but they are of course found in museums of various sorts all over the world, variously showing natural history, historic or battle scenes, dinosaurs and even spacecraft and astronauts scenes far out in outer space. When I was very little my (Irish) family lived in Moscow for two and half years. Although I’ve been unable to find a picture on Google images, I’m almost certain I recall a sort of mock-up or diorama of Yuri Gagarin or some other cosmonaut, floating outside a sputnik, against the inky darkness of outer space. However, a recent visit from my mother onto this blog, and a short note left behind, informs me this site was at the Moscow Ostankino space pavilion, built 1968. There you go. I shall enter tha in my next Google search. From spacemen to dinosaurs, from the Grand Canyon to the African savannah, from a civil war miniature to a Roman Battle scene, such things all make a vivid impression on the minds of the young. The Museum of Natural History here in Dublin also has some beautiful, Victorian era tableau, in lovely mahogany cases, especially in the lower floor Irish Animals section. There is a Hare and Grouse scene, two such scenes in fact, which i always love and about which I’ll tell you (and show you) another time soon. There’s another tableau/mini diorama there too, of a pond or river, full of waterfowl. The killer stroke here is the above-and-below split-level effect, with the ducks feet kicking about under the green and murky water, made of glass or some early fiber-glass material. It is beautiful. 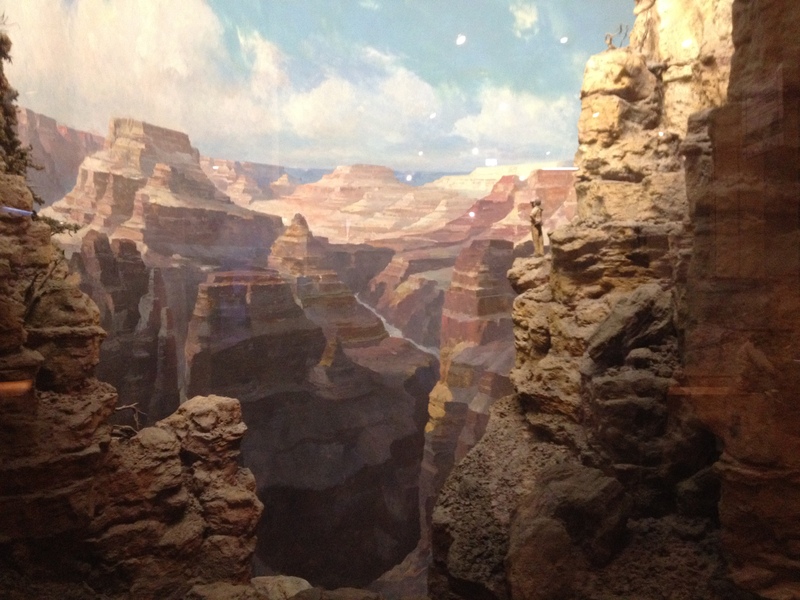 If you love museum dioramas and tableau as well, and even have a link to share, I’d love to hear from you. December 12, 2013 December 27, 2013 Arran HendersonArts and Artists, History of ScienceGermany, Munich, Museum, Museums, Science, Travel Writing. Previous Post Falling into Hell. Peter Paul Rubens at the Alte Pinakothek, Munich.